Liester Award: Food Blogs to Check Out! | Simple Living and Eating: Liester Award: Food Blogs to Check Out! Thank you Adelina from Home Maid Simple for giving me this Liebster Award. All bloggers work much harder than anyone would guess, and I appreciate the recognition. Katie Kate's Kitchen for her eclectic collection of healthy recipes. Meatless Mediterranean to Mary for her commitment to the healthiest of foods from Southern Europe. Baking with Blonde for her ability to search out the most interesting recipes. Sweet Little Bluebird who I just found and Mary's site is filled with fresh healthy salads and light cooking ideas. Ruth's Real Food and her commitment to eating and teaching people about how to prepare whole foods. Hi Diane! 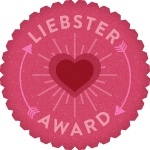 Thank you so much for thinking of me and awarding my Blog the Liebster ~ so sweet of you! I hope you're off to a great week! Cheers & thanks again! You are very welcome, I really enjoy your blog. Oh, wow! Thanks for choosing me. So glad you enjoy reading my blog. Best of luck with your own blogging.